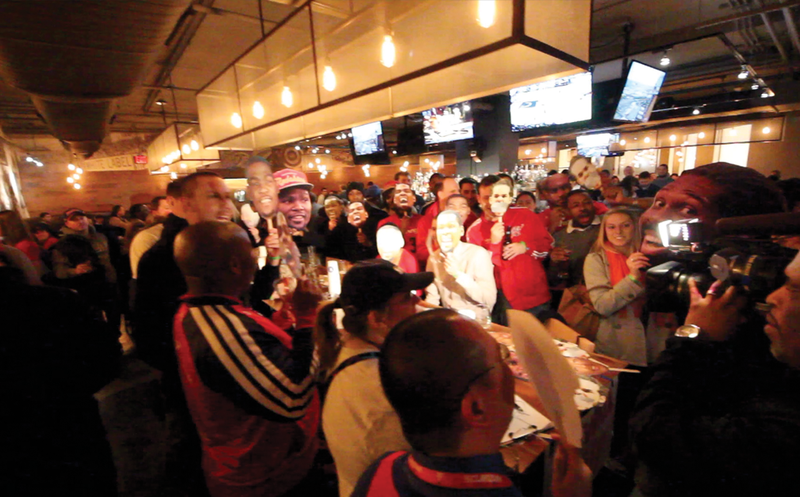 Wizards fans met up at Glory Days in North Point of Reston to check out a bad Wizards loss to the Boston Celtics. We had the volume pumped up to the max and enjoyed gi-normous beers while we watched turnover after turnover. While it was a bad loss it was all good in the end as we got to watch the game with fun Wizards fans. One of the only good things to come out of this game was that rookie Kelly Oubre Jr (my best friend) scored his first NBA points (7 of them actually). That sweet moment would take a slight hit later when he was fined $15,000 for grabbing his crotch after this Bradley Beal buzzer beater. 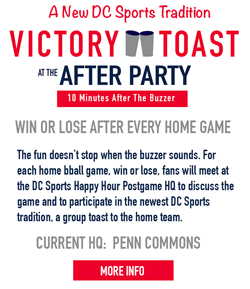 Glory Days was a fun time and a great spot for a Wizards watch. You can pick the game audio at your table, so no issues involved with convincing a bar to put the game on! Hope you can join us next time!